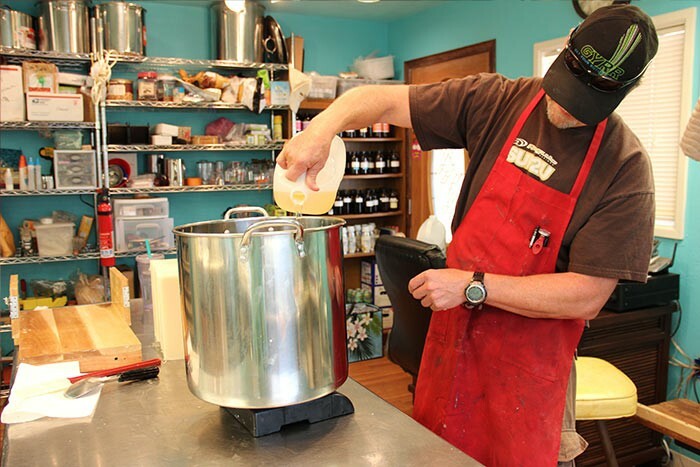 Enjoy seeing your soap being made through this photo slideshow. 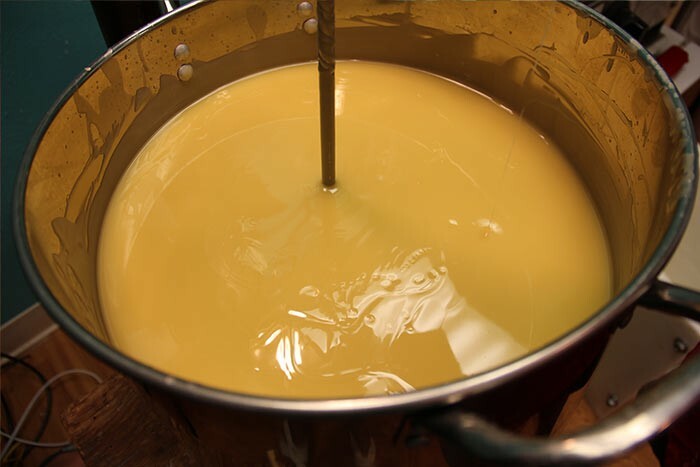 The oils for one batch of soap have been measured and added to the mixing pot. The oils are mixed and ready to receive the lye. 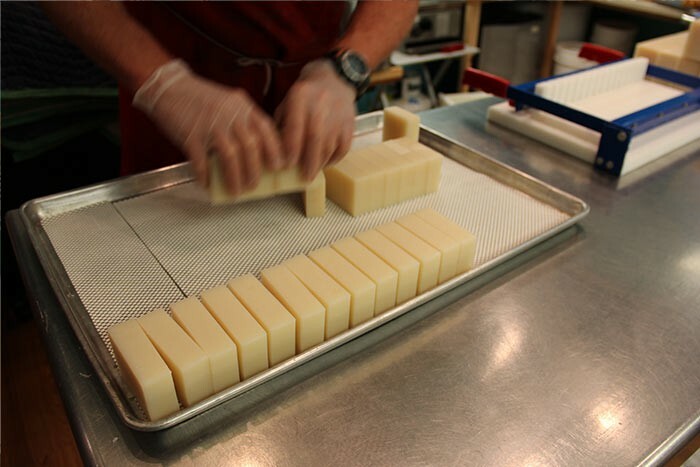 Lye (sodium hydroxide) is added to start the chemical reaction which makes the soap "set up". The reaction is happening even before all the lye has been added! 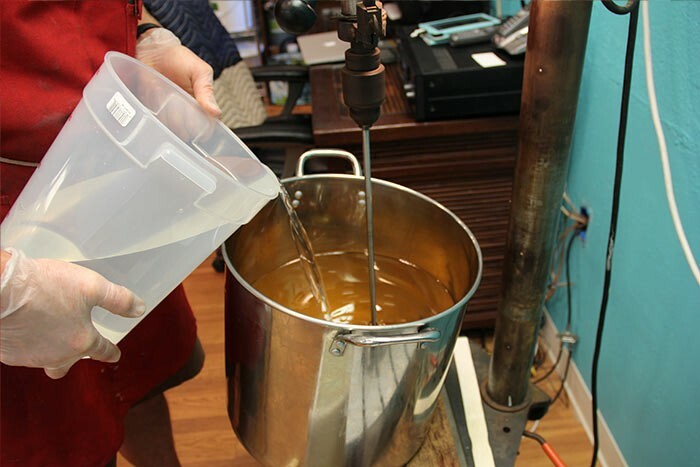 Continuous mixing continues for about 25 minutes until the perfect consistency is reached. This batch is ready to pour! 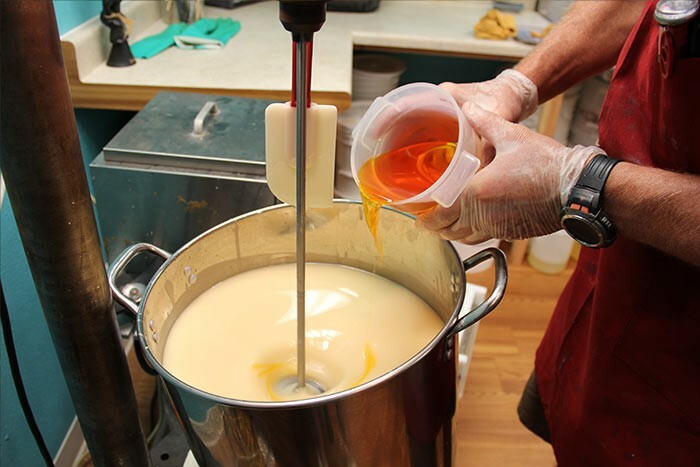 The mixture is poured into a special mold where it will dry for several days. 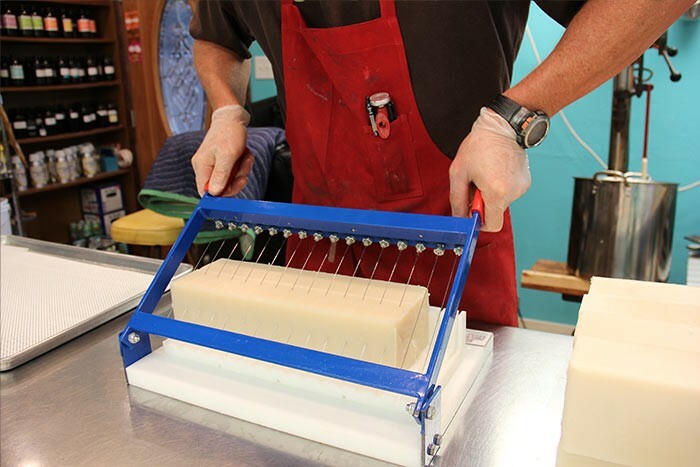 Once the soap has set up we remove it from the mold to prepare for cutting. and then is cut into individual bars. 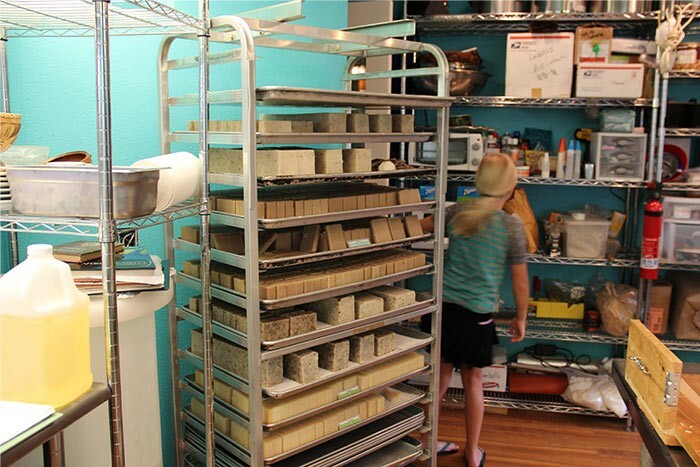 which are placed into racks where the soap will cure for several weeks before being sold. The exhilarating fragrances of Hawaiian flowers were the inspiration to create Moku Pua, which means “Island Flower” in Hawaiian. 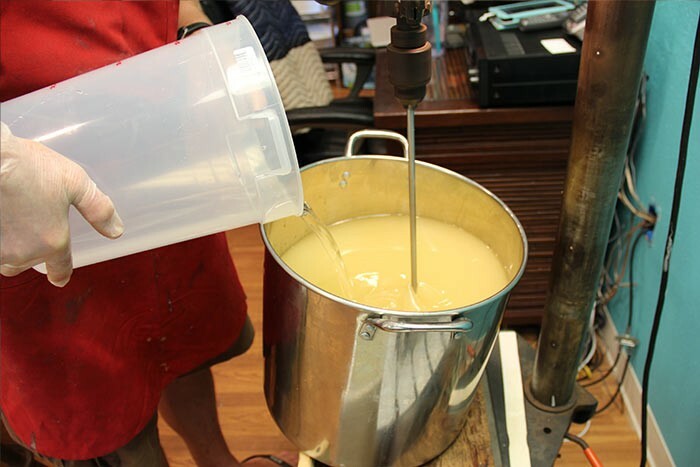 Several years ago I gave Christmas gifts of homemade sugar scrub scented with the fragrance of the Plumeria flower to friends and family. The response was overwhelming and soon I was receiving more orders to replenish the jars and to give as gifts for others. After support from friends and family, I embarked on becoming an entrepreneur in the Body Care and Fragrance world. Our philosophy has developed to keep our products as natural and chemical free as possible. Moku Pua does not use damaging Parabens, Sulfates, or Formaldehyde in any of our products. 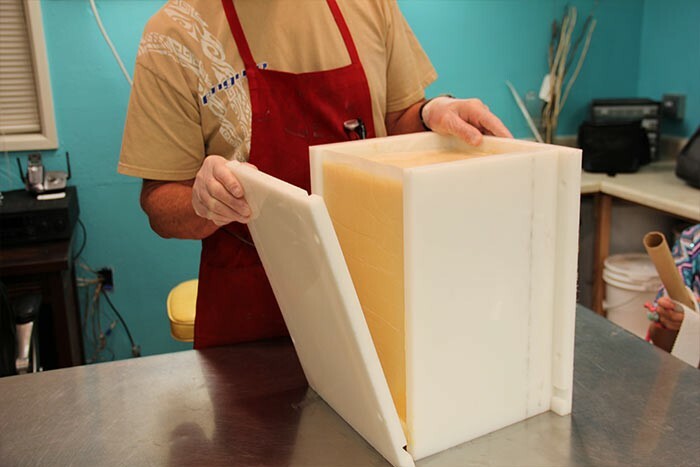 We pride ourselves in creating a natural biodegradable soap, and choose recyclable containers to help sustain and maintain our earth. We do not use any animal products or test on animals. 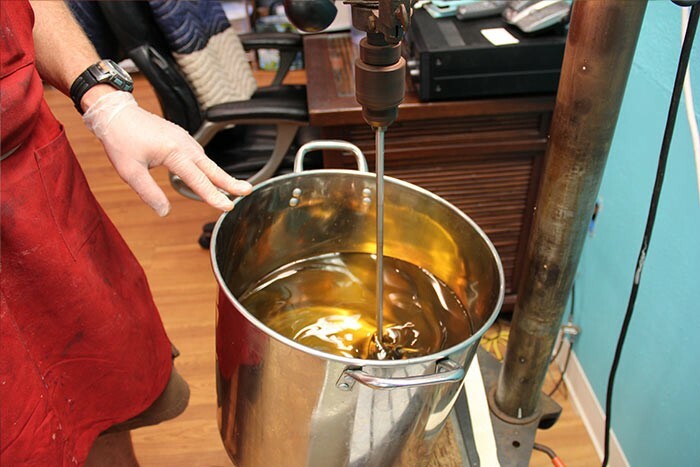 We have chosen quality exotic oils to nourish and pamper the skin. These flower essences and exotic oils create a unique tropical spa experience for your body. 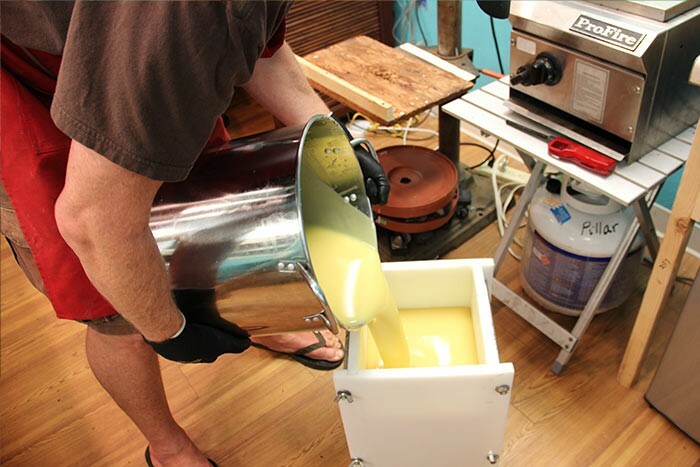 All Moku Pua products are hand made in small batches at our manufacturing facility on the beautiful island of Maui. 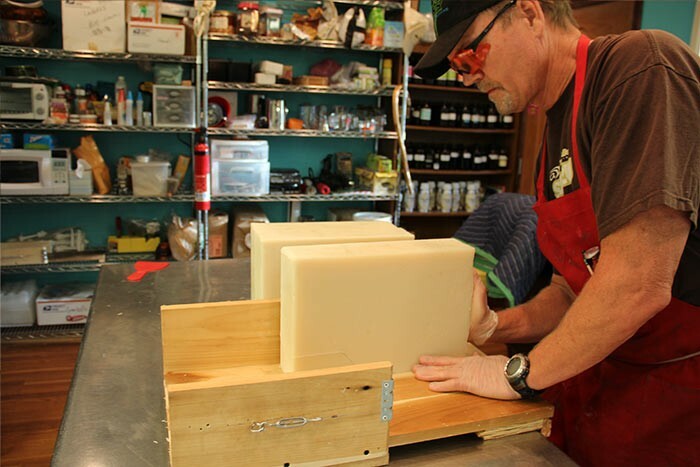 Moku Pua is proud to maintain memberships in good standing with The Handcrafted Soap & Cosmetic Guild and the Maui Chamber of Commerce. We have also received the prestigious approval to display the official “Made in Maui Hawaii” seal confirming our product as a locally Maui made product.